NASCAR picks for Talladega: Jordan took Smoke, Dean chose Jeff Gordon and Jason picked Kasey Kahne. Fun final show of 2009. 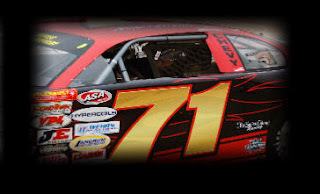 We will continue to make our NASCAR picks on-line, also updated local racing news... please keep checking back. 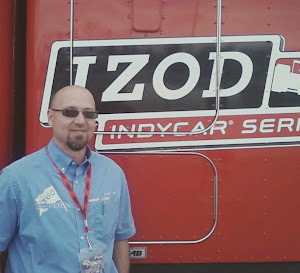 We will wrap-up the local racing season this Saturday (Oct 31st) on Speed talk on 1360. 11-noon on KRWC radio 1360am. 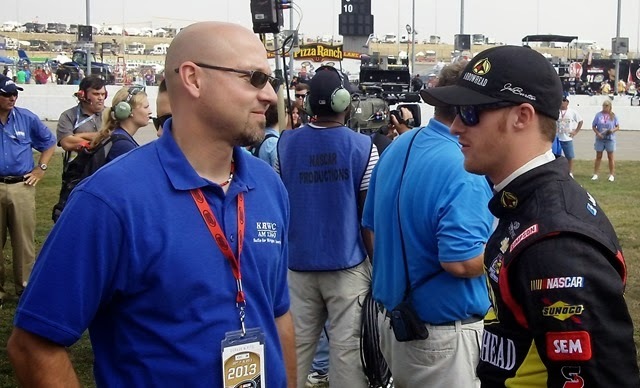 Jordan will help us run down the entire 2009 NASCAR season, and pre-view the final few races. 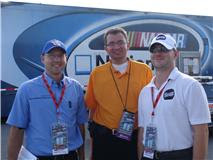 Dan Plan will talk with Dean and Jason about the 2009 MN Local racing scene. We will give out our "MN Racer of the year" and "Best interview" awards. The show will be back again in FEB 2010, just in time for Daytona. David Wray Automotive in Buffalo, Lou Fegers Racing in Delano, Auto Value in Buffalo and Monticello and Raceway Park in Shakopee. When you go to these businesses, please tell them you heard their commercials on SPEEDTALK on 1360. Kyle Busch crew chief Steve Addington has been demoted at Joe Gibbs racing, he will no longer be crew chief for the #18 car. Check out what Jordan has to think of the situation. Click this link. Rain has dampened the racing schedule this weekend. The All American 400 at Fairgrounds speedway in Nashville TN has been post-poned until Nov 20-22. Chase Elliott and Speedtalk guest Ross Kenseth are two of the rising stars planning on attending this event. Some reports have the legendary Fairgrounds Speedway closing next summer, because of financial concerns. 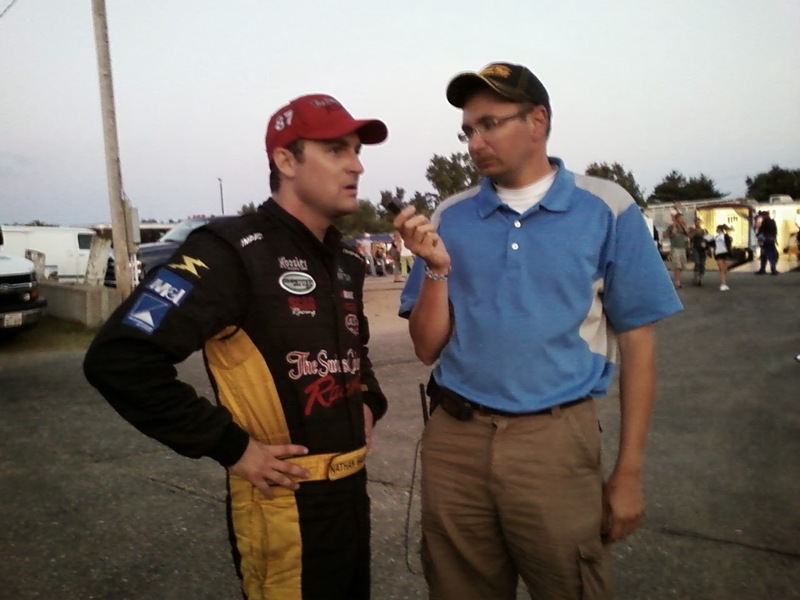 ASA Midwest tour rookie rising star Blake Brown was on Speedtalk on 1360 Saturday Oct 24th! Simulator Sports racing challenge winner. 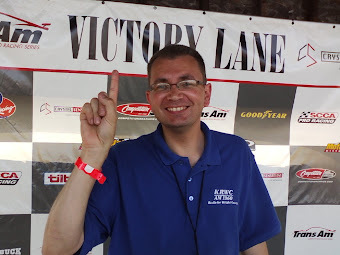 Josh Friedrichs won the Simulator Sports racing challenge, Josh is an ASA Midwest tour official and former flagman at I-94 Raceway in Sauk Centre. He wins a prize package worth over $150. Simulator sports plans on having a racing competition again in the near future. Viking Speedway in Alexandria will hold its FALL CLASSIC next SPRING. Because of the terrible weather the last few weeks, the Fall Classic will be post-poned until April 15-17. Talk is that the 2010 Wissota 100 will be back at Dakota State Fair Speedway in Huron SD. Nationwide driver Kenny Wallace will remain as a commentator on Speed Channel for at least two more years, as reported on his Twitter account. With his endless energy and enthusiasm Kenny does a great job with pre and post race coverage on Speed Channel. 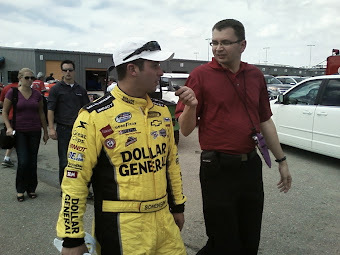 Ross Kenseth was a good interview .. 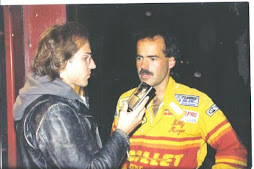 Here are a few tid-bits from the interveiw: We found out he does not have a plan for next years racing yet but he wants to race a Super Late Model .... He does not have a development contract with any NASCAR team... His number is 25 because his dad Matt is number 17 now and number 8 in the past, you add 17 + 8 = 25 and his birthday is on the 25th .... He is currently in High School basketball practice and hopes to be a starter this year, he is up to 6' 2" tall now. He would like to go to college someday. We didn't connect with Dan Plan and Jordan Bianchi was sick with the flu but he gutted it out. NASCAR picks: Jason took Kasey Kahne, Dean chose Mark Martin and Jordan picked Jimmie Johnson. Viking Speedway in Alexandria will try again NEXT weekend to get in their FALL CLASSIC dirt track race weekend. The rainy weather and muddy pits are the reasons for this second post-ponement. the ASA midwest tour race was a big deal at Oktoberfest with Travis Sauter winning the race and Steve Carlson taking the tour championship. Danny Fredrickson got 7th and Dean Cornelius 9th, Nick Murgic 15th and Jacob Goede 19th. Some familiar MN drivers showed up in the results from LaCrosse WI last weekend. 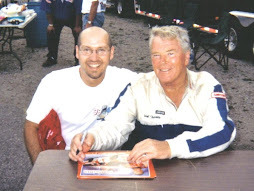 Many time I-94 Raceway champion Steve Johanneck won the Modified race, with Tony "the gas man" Robertson finishing third. 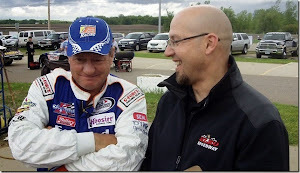 "Crazy" Larry Fitzsimmons won the Truck race with Conrad Jorgenson third and Bill Collins (from Interstate truck driving school) finishing fifth. 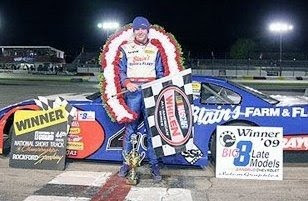 Ross Kenseth on "Speedtalk on 1360"
16 year old Ross Kenseth has just wrapped up an awesome tri-fecta Late Model season with a Big 8 championship, Ntl Short track championship and WI state championship. He will join us on "Speedtalk on 1360" this Saturday Oct 17th. 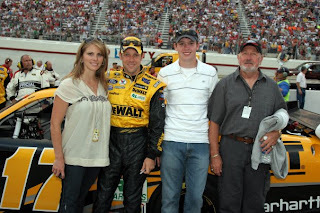 *family photo with his: step-mother Katie, father Matt and grandfather Roy. Kind of a tough weekend for the MN drivers in Georgia for the Legends Nationals event. Travis Sauter wins the Oktoberfest race but Steve Carlson wins the ASA midwest tour championship (even though he missed one race). Top finishing MN driver was Danny Fredrickson in 7th. Nascar picks: Dean took Juan Pablo Montoya, Jason got Mark Martin and Jordan picked Jimmie Johnson. Eric Breeschoten interview was great..
Oktoberfest is going on, Dan Plan is down there freezing.. we will have results posted on this site. Legends guys are down at Ntls in Atlanta .. we will have the results soon. 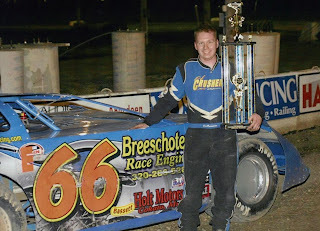 Dirt Late Model driver Eric Breeschoten from Buffalo will join us this Saturday Oct 10th on Speedtalk on 1360..
Jordan Bianchi will talk NASCAR and Dan Plan will be LIVE from Oktoberfest in LaCross WI. The Fall Classic at Viking Speedway in Alexandria has been postponed until Friday and Saturday Oct 16th and 17th. MN Super Late Model driver Josh Vadnais went down to Rockford IL Speedway to defend his National Short-track Championship last weekend. Saturday's events were rained out. 42 cars were entered. Sunday Josh Vadnais won his heat race to advance to the Main Event but got caught up in a wreck before mid-race and wasn't a factor in the race finishing 24th. Josh Nelms won the 200 lap Super Late Model event. Teenager Ross Kenseth (Matt's son) won the BIG 8 Feature. 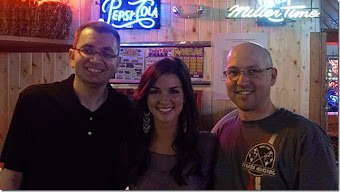 Dean did an interview with the top 3 finishers from the ASA midwest tour last Saturday night at Elko. Fredrickson, Wimmer and Holtzhausen. Nick Panitzke talked to us on the phone. 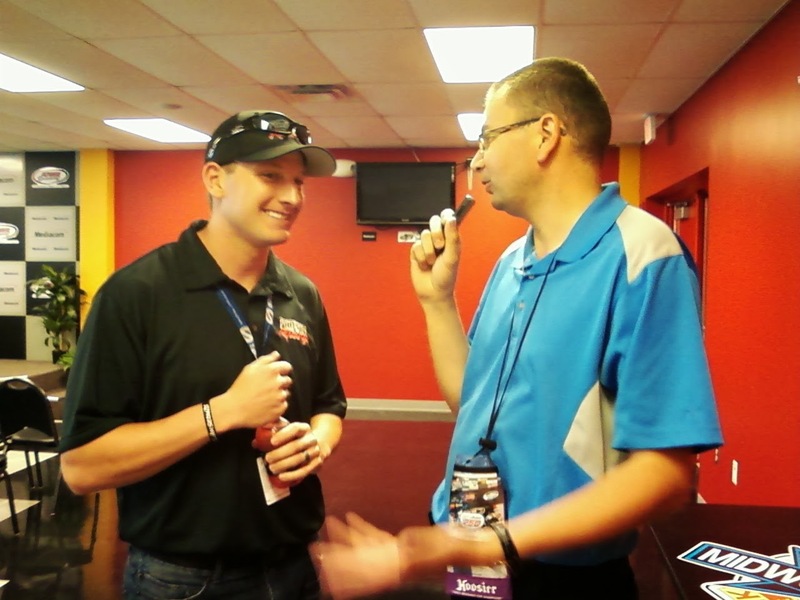 Dan Plan joined us from the Short-track Ntl Championship at Rockford Speedway and Jordan talked NASCAR with us. Want the thrill of racing but cant afford the racecar? Simulator sports has a racing tournament going on ... 3 race tracks, best overall time wins a prize worth $150! Entry fee only $5 .. Call Charlie or Steph and tell them you heard it on SPEEDTALK!